Business Analyst Jobs in Insolutions Global Mumbai – 20th, 21st March 2017. Insolutions Global Job openings for BE, B.Tech, B.Com students as Business Analyst. Interested and Eligible Candidates practice Insolutions Placement Papers before attending the Interview, so that you can crack the test easily. Candidates who want to build their career in an appropriate manner they can grab the chance and enhance their career. Interested Candidates can directly attend the drive at below mentioned venue. As we all know comparing to the previous years this year competition for Jobs had increased immensely. So there will be tough competition for these Recruitment. Candidates are advised to check MNC Online Test Pattern so they can prepare confidently and can easily crack the Recruitment of Insolutions Recruitment 2017. Started in the year 1988, In-Solutions Global is one of the pioneers in the Payment Card Industry. ISG acts as a catalyst in simplifying operational complexities and supports transactions in a secure environment. ISG processes 25 million transactions on a daily basis with ease. With 25+ years of rich domain expertise ISG aims to provide the best of solutions to our clients. Having a state of the art in-house solution development setup, ISG has incorporated advancement in technology at par with the industry standards. The amalgamation of People, Processes and Technology helps us create and deliver better solutions each time. 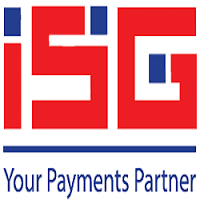 Thus, making ISG “YOUR PAYMENTS PARTNER”. We hope the information provided on Insolutions Global Recruitment is helpful for your job search. If this job doesn’t suit you then you can look for more Freshers Jobs in our Website. Keep visiting All India Jobs for regular Job Updates, off campus drives, walkin interviews, referral and many more.